I am quite a solitary person, and although we were hosting Wwoofers for just 1 week at a time, having a relative stranger full time in your life was quite exhausting. We do provide a separate building for the Wwoofers, but when they arrive alone, we want them also to feel part of the family, but cooking and heating separately all have a cost. 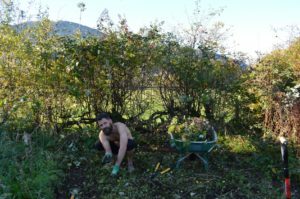 It was our Romanian Wwoofer who suggested that instead of waiting for the Wwoofers to find us and host them one at a time, we should put an urgent request on the site with specific dates for specific tasks and host a group for 2 weeks. So we did. Within 3 days we had 10 offers of help for 2 weeks in Februay/March. Some not so practical as they maybe had not read the dates we required or wanted to stay too long. 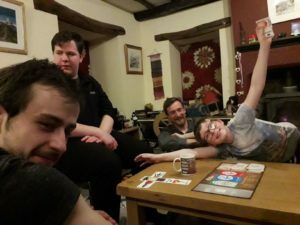 It was at the time the new Wwoof website was launched and my chosen 4 were a result of their patience with the glitches, a friendly approach and enthusiasm for the project. A Canadian, a French couple and an English lad. My 2nd exciting discovery was the No Dig Organic Home and Garden Book by Charles Dowding. This was a revelation. No fights with weeds, no constant hoeing, NO DIGGING!! just tons of lovely bulky manure and brown cardboard. I became obsessed, stopping in the dead of night to pick up cardboard left by the side of the road or near recycling bins. I become a connoisseur of Midden Heaps. Dry and layered or decomposed and squelchy. I was happy to collect from any. Layering like a strange lasagne, those weeds were going to be suffocated into submission. And so with a variety of abilities and life skills The Fabulous Four, worked initially in strange Cumbrian February sunshine and then in very usual Cumbrian Rain, to tame the old chicken run, and renovate the hen house (more bulky manure) chop back the devouring perennials, remove weeds from the cobbles (by hand), move and use the 10 year old household compost to fill buckets ready for planting, move paving slabs from the lawn, create paths, fill bags and bags and more bags with manure and layer it with cardboard and when rain truly stopped play, to process wool ready for dying. The only thing we have not yet done is plant some seeds. They worked and lived together, sometimes we all ate together, sometimes I cooked and sometimes they did. Everybody had companionship and their own space. It was a perfect arrangement, and new bonds and friendships made. It felt more like a university field trip than a working party. Our first Wwoofer arrived by bike in terrible Cumbrian weather having cycled from Portugal via Wales, Scotland and on this specific day from Dumfries. He was travelling light, with everything (including his Ukelele) on the back of his bike. No surprise he was very fit having cycled all that way, but his big surprise was his adherence to Barefoot running (and gardening). As a running family who have spent many hours with massage therapists and physios we had many hours of conversation about the health benefits of the barefoot philosophy. 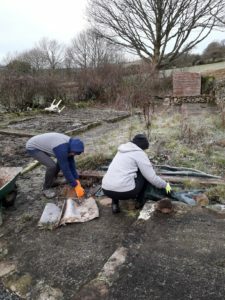 Our first Wwoofer was a brilliant English speaker and very hard working bringing about a huge transformation in the garden in just 5 days and joining in with our family life. I think the late autumn sunshine helped. As we waved him goodbye both Bheinn and I had a tear in our eye. Our first Wwoofing experience had been a great success. Gardening is not my favourite thing. It is messy and hard work and we have a very large garden. Mark, my husband had a go a few years ago when his mid-life crisis kicked in, but after the polytunnel had blown away 3 times, the last time permanently we both gave up trying to live off 2 beetroots, 3 peas and a large handful of Chard. He bought a camera and I bought a guitar. 5 years later in 2019 and the barn redevelopment project is turning like a juggernaut from a building project to a money-making scheme and dream come true as far as being able to spin, weave and teach is concerned for me. 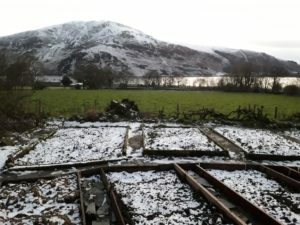 I then realised the garden had been totally neglected and would require yet another large effort for it to complement the accommodation we were offering. The penny dropped that many spinners and weavers I know dye their own yarns and a natural dye garden could be a fantastic add-on to the back to the earth philosophy of the spinning with wool from the sheep we can see from our back window and the idea of the dye plant garden was born. 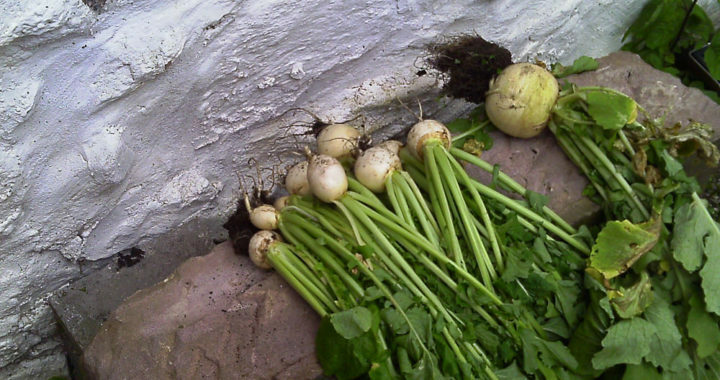 WorldWide Opportunities on Organic Farms, UK (WWOOF™ UK) [and] is part of a worldwide movement linking visitors with organic farmers and growers to promote cultural and educational experiences based on trust and non-monetary exchange thereby helping to build a sustainable global community.(https://wwoof.org.uk/about/what-wwoof). As a student, many years ago I had travelled and volunteered around Europe and loved the idea that we could host volunteers from all over the world to help us develop this garden and share our incredible location. Also I have always tended to reduce, reuse, recycle and help the planet as much as I can. 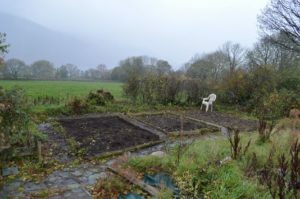 So having read the information on the www.goorganic.org.uk web site about the Henry Doubleday Research Association’s guidelines of how Organic Gardening began taking care to love and nurture the soil avoiding chemicals rather than force change with artificial additives I was hooked. Today I could see that the curtains were starting to part. Not completely open, not letting in the glorious sunshine of potential, but the glimpses of light that shine through the blinds. Well maybe that was last week. Today I dared to peep right through to the window and it all looked technicolour. The fog did not descend suddenly, it rolled in slowly as one awkward decision, upon another life-turn enveloped and suffocated, until I was living in the space at the bottom of my bed under the duvet, metaphorically I mean. Life looked dull and faded, like slogging through the rain behind your parents on a Sunday walk when there is a film on TV you have yearned to see all your life. Each day I got up and went through the motions, but the purpose seemed to have disappeared. I had always run hard, always with something to prove. At first just to show I could go longer and further than others, to prove I could drink a pint and still fit into “that” dress. Then the fascination that I was truly something unique dawned, but I never quite believed it. That was the key. I never quite believed it, I was just never quite good enough, in my eyes, and often in the comments of those who should have known better – but worse still I believed them. So when life, age, the need to bring up a child and the need to earn a living, started to strain and tug I still did not quite believe I had been that athlete. I stood lost not sure who I was at all. I stopped running when the angina pains came, but the Drs found nothing wrong. I stopped believing I was worth it. I stopped putting myself first because my body decided I was not worth it. or was it my mind. I watched re-runs of “The Biggest Loser”. When I was fit not believing I was already that athlete they were striving to be, then as the stones (not pounds) went on I stared in disbelief that I was in the same boat. I too had stopped believing, I too had stopped putting myself first. I had tried too hard to conform to be loved and approved of, I had not held onto my precious self. I started to see me. I stopped trying to pretend I could cope with being part of the have it all generation of 40 something women, who had spent their lives adapting to new technologies (from manual typewriters, through Amstrads, Word Perfect, Apples, Windows, laptops, telephones, carphones, Nokias, smartphones, tablets and Facebook…. and started to shout from the treetops that it was difficult and great, but that after having a family, running a toddler, group, running club, craft club and renovating a house and barn I was not on the proverbial “its now or B&Q scrip heap”, if I did not get a good job and have a stella career. Women were now being fully represented in all areas of work and it was not unusual, but they still have to juggle all the family duties. The jobs are there but the support in child care, flexi working, school visiting hours for pick up and set down, parents evenings, performances etc, are not. WE still carry the can. WE are still expected to do everything else. I could not cope doing everything else. I was still trying to become the thing I thought I should be when I left school – an independent career woman working 40+ hours a week. My worth defined by my salary. And so the penny started dropping. I am married, I have a family, I have a husband who by luck of birth is the one who earns the most. I am the one who can do the building, DIY, run ultras, cook (sort of) do marketing, speak German and Italian (sort of), type, weave, spin. I started to accept I was not of less worth because I had less money. I then started to recognise the messages I had heard all my life, about striving for the things that you always want to do with your heart in order to be successful, applying to me. With me it was handicraft and running (in the hills and sometimes round and round tracks). This was me. This is what defines me. This is what makes me unique, driven, whole, and this is the blog of that re-connecton with who I am. This is a new fledgling project supported by WWoofers. 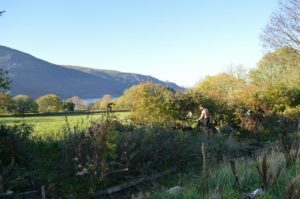 Watch this blog for future posts to find out more about our Organic Dye Garden at Wild Wool Workshop and see the wwoof.org.uk web site. 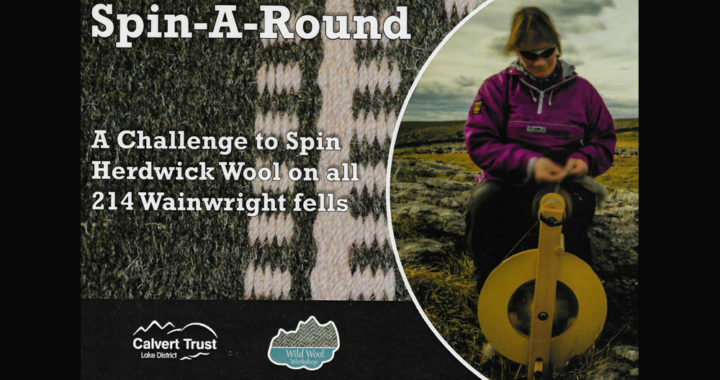 A challenge to spin Herdwick Wool on all 214 Wainwright mountains. I am supporting the Lake District Calvert Trust, who provide challenging outdoor activity breaks for people with disabilities, by taking a light-weight spinning wheel to the summit of all the Wainwright Fells in the Lake District. The wool will be woven into 2 rugs. 1 will be auctioned in aid of the Lake District Calvert Trust. 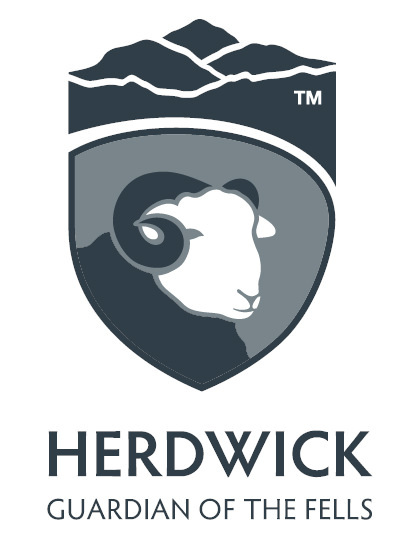 The 2nd can be won by sharing a photo of me spinning on a hilltop on social media with the #spinherdwick.